ILRI epidemiologist and East Coast fever expert Henry Kiara takes a blood sample from a cow (photo credit: ILRI/Stevie Mann). ‘A team of scientists from The International Livestock Research Institute has launched a project of developing a superior vaccine against the East Coast Fever known to kill one animal after every 30 seconds and currently threatening some 28 million cattle in East and Central Africa. . . .
‘East Coast fever is a devastating cancer-like disease of cattle that often kills the animals within three weeks of infection. It is caused by the single-celled parasite Theileria parva, which is transmitted by the brown ear tick (Rhipicephalus appendiculatus) as it feeds on cattle. ‘The disease was first recognized in southern Africa when it was introduced at the beginning of the twentieth century with cattle imported from eastern Africa, where the disease had been endemic for centuries. Last year more than one million cattle in 11 countries died and caused a loss of about Sh26 billion. Many of the animals threatened by the disease belong to poor pastoralist herders and smallholder farmers for whom the loss of even one cow can be disastrous. The new East Coast fever vaccine project is supported by a USD11 million grant from the Bill & Melinda Gates Foundation (USA), with additional support coming from consortium partners who include the Centre for Ticks and Tick-Borne Diseases (Malawi) and GALVmed, a livestock-oriented non-profit product development partnership in UK among others. Read the whole news clipping at FarmBizAfrica: Scientists step up war on East Coast Fever with superior vaccine, 11 Feb 2014. Why the new East Coast fever vaccine project matters: Jimmy Smith on the Bill & Melinda Gates Foundation blog, 10 Feb 2014. Time for a new-generation vaccine against East Coast fever in cattle in Africa, 7 Feb 2014. Vaccine against East Coast fever helps African farmers save their cattle herds, 6 Feb 2014. 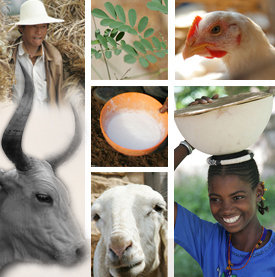 New consortium to tackle East Coast fewer in cattle in Africa, 31 Jan 2014. Tags: BMGF, CTTBD, GALVmed. Bookmark the permalink.